I know that Zombie Apocalypse week is over, but I'll be honest: One week for zombies just isn't enough for me. 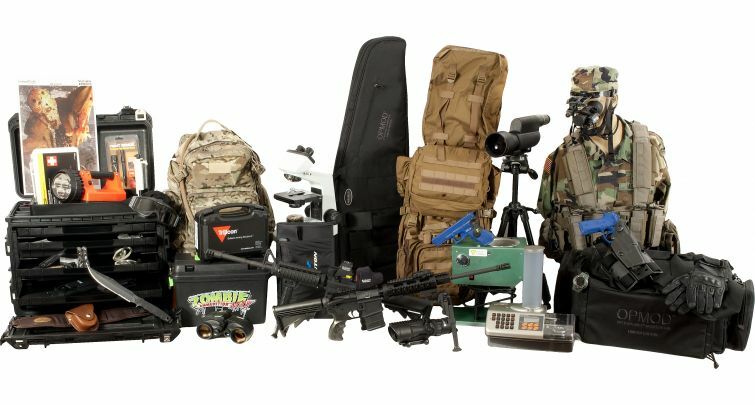 So if our posts last week got you thinking about how prepared you are in the event of an undead outbreak, or if you're thinking you could use a bit more zombie chic in your kitchen or living room, read on for a run-down of a few of the neatest zombie home decor and home defense products out there. 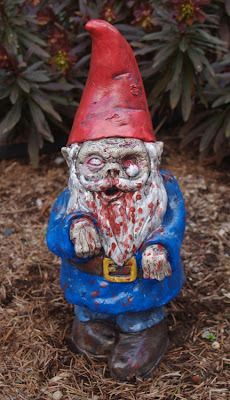 Zombie gnome available from Etsy seller dougfx. If any of the 1% are reading this, be aware that you can drop $24,000 for an all-inclusive Z.E.R.O. Kit — that's Zombie Extermination, Research and Operations, of course. It includes a first aid kit, sturdy gloves, night vision scope, solar panel battery charger, a shotgun with an attached flashlight, and even a mug with a reinforced bottom for skull-crushing action, among many other goodies. If I ever win the lottery, this is my first purchase. If you've already go the firearms, be sure you've got the proper ammunition to go with it— like, say, Certified Zombie Handgun Ammunition. Seriously. This is a thing that you can actually buy, in a store, right now. K-Bar Zombie Knives are yet another product that are labeled as undead-specific for reasons I can't quite determine. 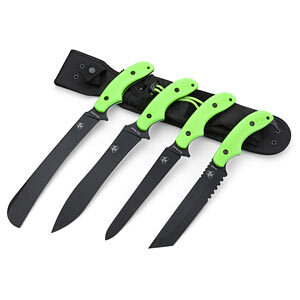 But if you're looking for bright green killin' knives, here you go. This is the wine bottle stopper you've been looking for. 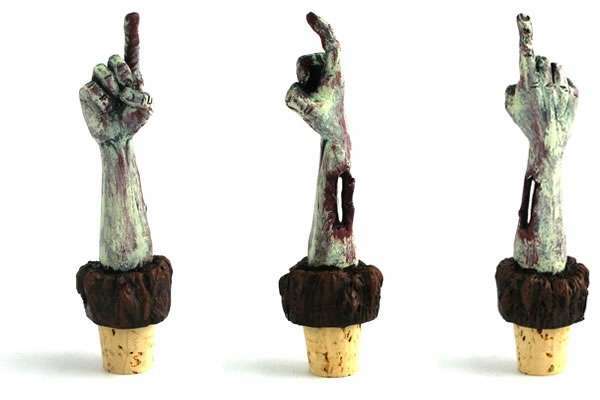 Please, respect the zombie hand and only use it to recork red wines. More of a beer drinker? No problem. 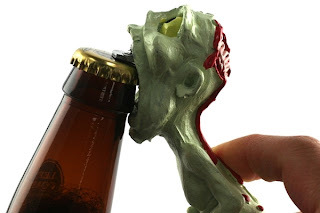 You can use a zombie's teefs to pop the top off your brew of choice. 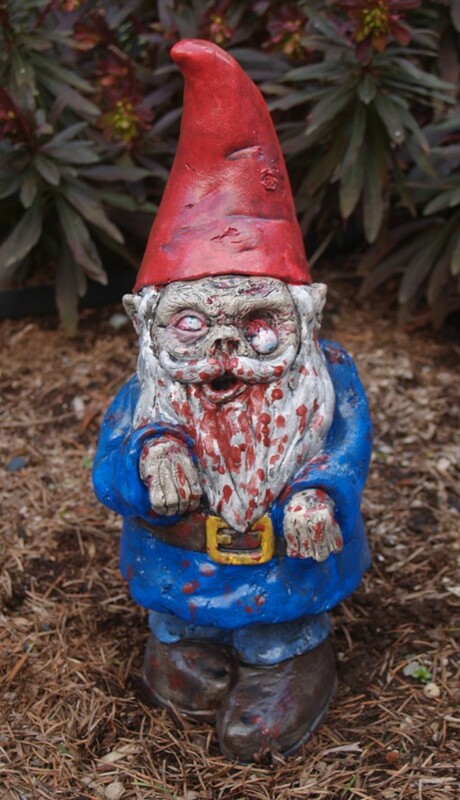 I love zombies. I love cookies. 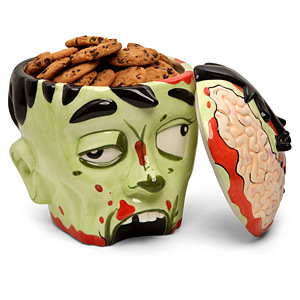 Ergo, I love this zombie head cookie jar. 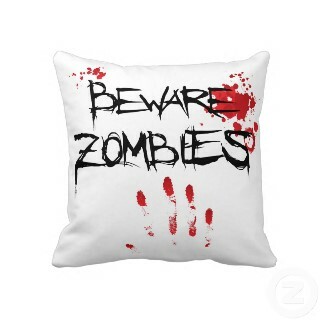 This stylish pillow for your couch or bed is available from Zazzle seller rott515. 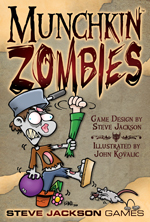 Munchkin is a fun little card game by Steve Jackson, and the Munchkin Zombies variant ups the undead mayhem. It's sure to delight gamers looking for some light entertainment on game night. A few of these items were posted on my Facebook page, so many thanks to Michele, Mark and Annabelle for sharing the shambling, undead love. The ZERO kit gives me a sad. So expensive, yet they give you a medical kit for an office that isn't even filled with zombies and random firearm accessories. Those gloves look pretty badass, though.